These decorative metal ceiling tiles are the real thing. Definitely not faux tin! 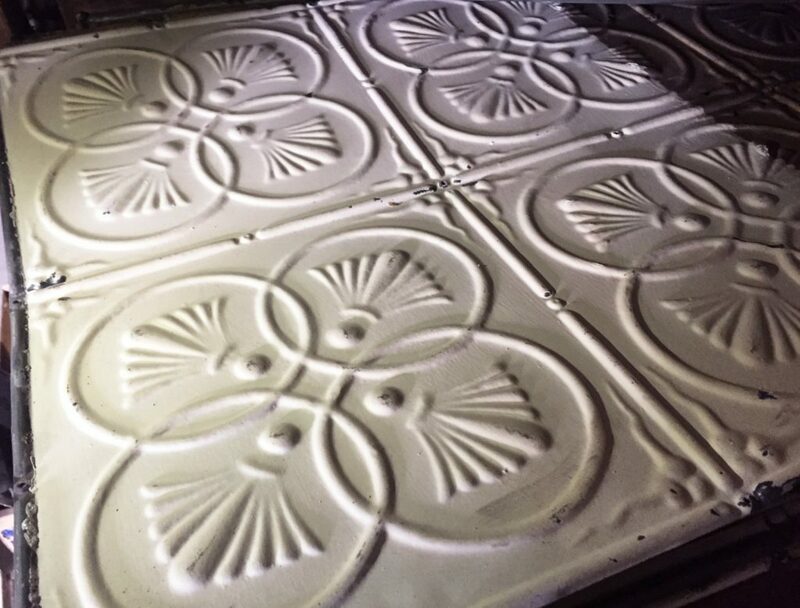 We could not believe our luck when we stumbled upon 115 square feet of real authentic 1890s pressed tin ceiling tiles. And yes, ceiling tiles are not just for ceilings. 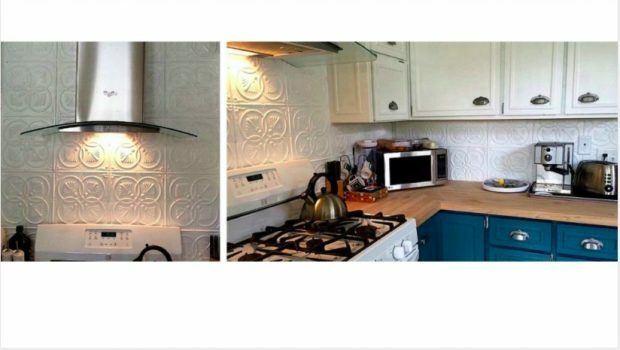 The featured photo proves that pressed tin ceiling tiles look just as wonderful as a kitchen backsplash. Most interestingly, what we like best about these particular tiles from CatchMyDriftVintage is the pattern. We spend hours and hours looking at ceiling tiles and have not seen this pattern any where else. This 1890s ceiling tile was previously on the ceiling in a dance hall in Wisconsin–what an awesome history! It is elegant, unique, and intricate. 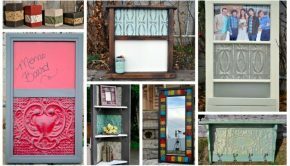 These would cover the surface / ceiling / wall in any room of a living space or home that is approximately 10′ x 12′. 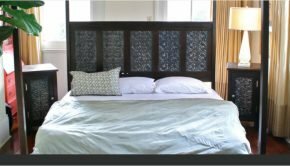 In addition to the 115 square feet of complete pieces, we are providing extra edges and partial pieces to ensure that you can perfectly cover an entire space that is approximately 10′ x 12′. 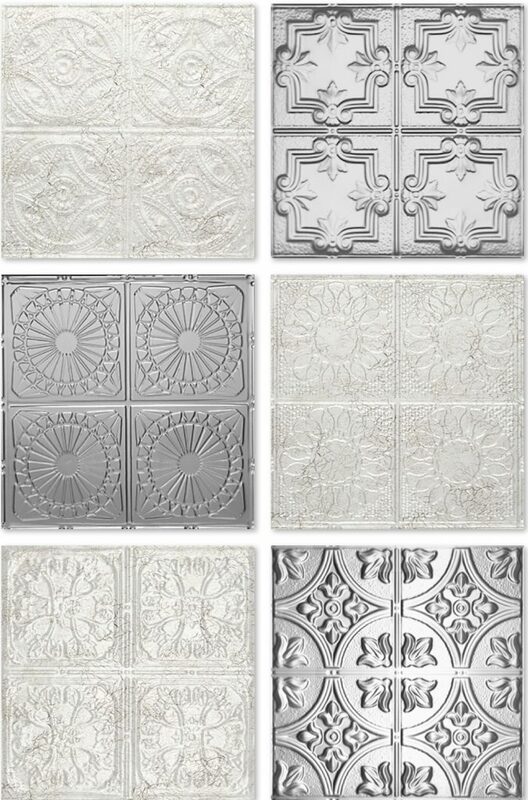 This is a VERY RARE opportunity to obtain so many tiles of the same gorgeous and historical tin ceiling tiling. These are in wonderful original condition. All the pieces are in good form, nothing is excessively bent. There are already original manufactured, clean holes that are meant for the nails to install the pieces to the ceiling or wall. The images here are to show you how someone else has used these same tiles in their home. The color of the tiles is an off white, and some are a tan color. After installation, you would paint your tiles all at the same time with either house paint or spray paint, whatever you choose. Our example of installation with this exact tiling pictured here was painted a brighter white. These tiles would look fantastic painted any color!! The possibilities are endless..bright teal, black, rose.. really, you name it! If by the time you find this, these fabulous tiles are sold, you should definitely take a look at readily available new tin tiles. Truthfully, if you are painting them anyway, you can create an equally unique look for a fraction of the price, even when ordered pre-finished! Here are a tiles you might like. 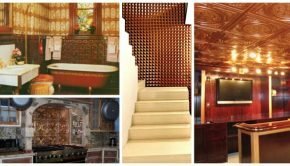 Summary: If you are as obsessed with tin ceiling tiles as were are you must check out these authentic 1890s pressed tin ceiling tiles! These decorative metal ceiling tiles are the real thing. Definitely not faux tin! Perfect for both ceiling & wall decor. 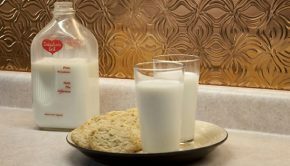 Plus they make a fabulous kitchen backsplash!